You can use, it's free! Have you tried opening it in download view then pressing the up and down arrows really fast? Do that and get back to me on your opinion of the two. I'm nuts, as I said. I also have the cognitive abilities of a drunk penguin on acid at this time of night, so of course I'm allowed to be weird. I love the image of the penguin. madness is sweet somewhere. It's true, though. That's also about the same as my aiming ability with just about anything other than typing. 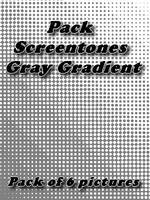 thanx 4 the new screentones! anything, the quality is not as good as usual. I have computer trouble at the moment. Then I made by hand. and thank for the 2 fav!